When I think of childhood dinners I think of crumbed chicken, salmon mornay and broccoli. My siblings and I would be served a few florets with dinner almost every night – often bribed with the promise of a chocolate Freddo or given the option of dipping the ‘trees’ in ketchup, if we were looking particularly gripey. I’m sure many of you have similar memories of being goaded to eat your greens. From childhood we learn that vegetables are good for us, but it’s only in the last few decades that science has recognized how crucial cruciferous vegetables are for our immune systems – and when it comes to anti-cancer research, broccoli is the undisputed star. Take on Cancer Stem Cells: The germ cells suspected of driving tumour growth. Provide a rich source of isothiocyanates (ITCs): compounds that can target and block the p53 gene – associated with half of all human cancers. Activate Glutathione: Known as the ‘mother’ of all antioxidants glutathione is also ‘highly-cancer protective’ according to British nutritionist, Patrick Holford. Fight H Pylori: A common type of bacteria believed to cause stomach cancer. 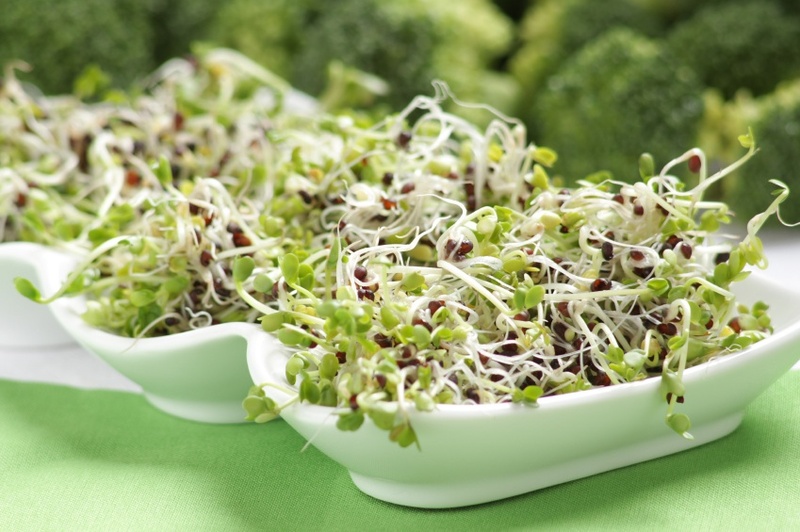 Boost Sulforaphane: This substance helps the liver break down and destroy cancer cells. In 2011, the September Oncology Report, found that sulforaphane suppressed breast cancer cell proliferation and growth. Indeed sulforaphane may be the most important compound in broccoli. But, if you’re really serious about upping your levels, you should eat broccoli sprouts. Three-day-old broccoli sprouts contain 10-100 times higher levels of sulforaphane than a mature head of broccoli – that’s a radical leap in potency, and it can make all the difference. Multiple studies show that broccoli sprouts and sulforaphane show promise against cancers of the prostate, bladder, liver, ovaries, colon and lungs. But it’s not just cancer. Broccoli sprouts are also a beauty food. They help seize toxins and usher them out of the body and promote radiant skin and luscious locks thanks to the beta-carotene, selenium, glutathione, zinc, vitamin C and folate they contain. AND may even prevent osteoarthritis, by slowing the destruction of joint cartilage and interfering with the inflammatory process linked to condition, according to a study in the latest edition of What Doctor’s Don’t Tell You. 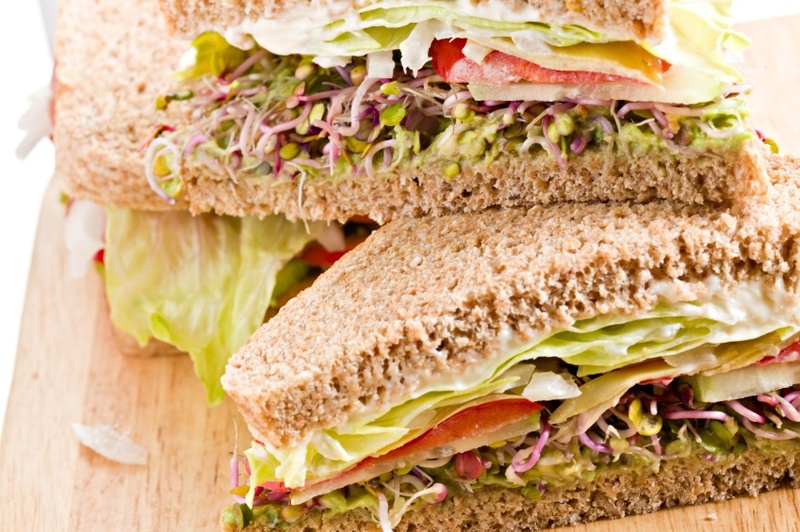 While the broccoli we eat often suffers from being over-steamed and soggy, broccoli sprouts are left with their enzymes intact and their sharp mustardy flavor provides a pleasing piquance to sandwiches and salads. But I find the best way to get a regular dose is to simply shove a handful through the juicer. I’ve been growing broccoli sprouts recently as it happens, but they keep going mouldy. does anyone have any suggestions? am I not changing the water often enough?